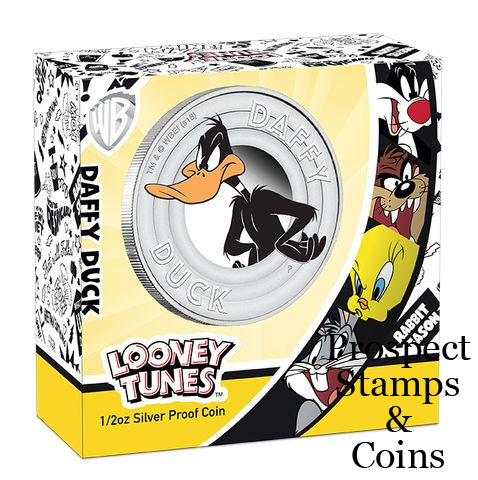 The Perth Mint has released the second coin in the new Looney Tunes series, featuring DAFFY DUCK. One of the best loved characters of the golden age of American animation, DAFFY DUCK rose to fame after starring in Looney Tunes and later Merrie Melodies short films, often alongside BUGS BUNNY with whom he shared one of the best known cartoon rivalries. The exuberant black duck with his distinctive oversized yellow beak and feet made his debut in Porky’s Duck Hunt. The television short, also starring PORKY PIG, was created by innovative director Tex Avery and animator by Bob Clampett for Leon Schlesinger Studios, which became Warner Bros.
DAFFY DUCK has subsequently starred in movies, video games and comic books abounding with Looney Tunes energetic slapstick comedy. 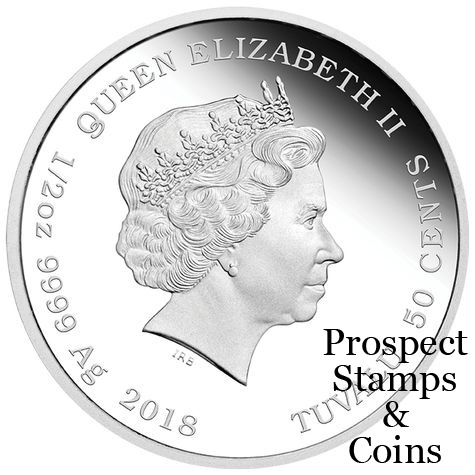 Struck by The Perth Mint from 1/2oz of 99.99% pure silver, the coin is issued as legal tender under the authority of the Government of Tuvalu. 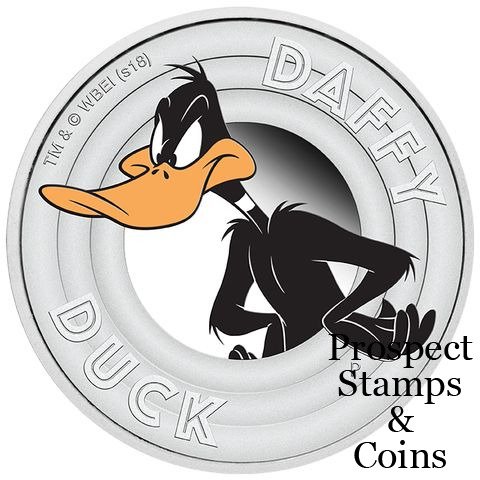 The reverse of the coin features DAFFY DUCK with his exaggerated beak and his hands at his hips, peering intently from the concentric rings of the Looney Tunes logo. Each coin is presented in a clear acrylic case, allowing both sides of the coin to be displayed, and is packaged within a themed shipper. 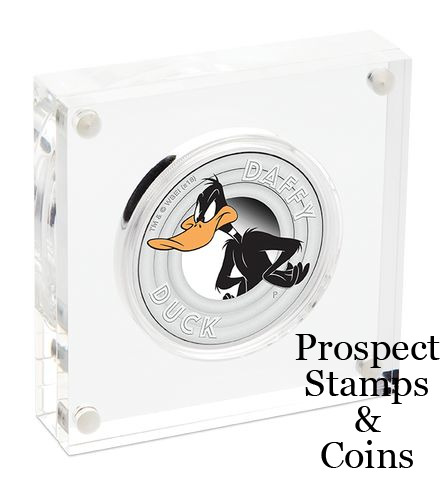 The Perth Mint will release no more than 5,000 of the Daffy Duck 2018 1/2oz Silver Proof Coin.